This Southern Spiked Peach Iced Tea is a little bit country & a little bit rock and roll, but just the perfect amount of both to lend a flavor worth having more! Summer is in full swing! Woo! That means long days, sunny skies, warm breezes, and lots of fun outside with friends and family. 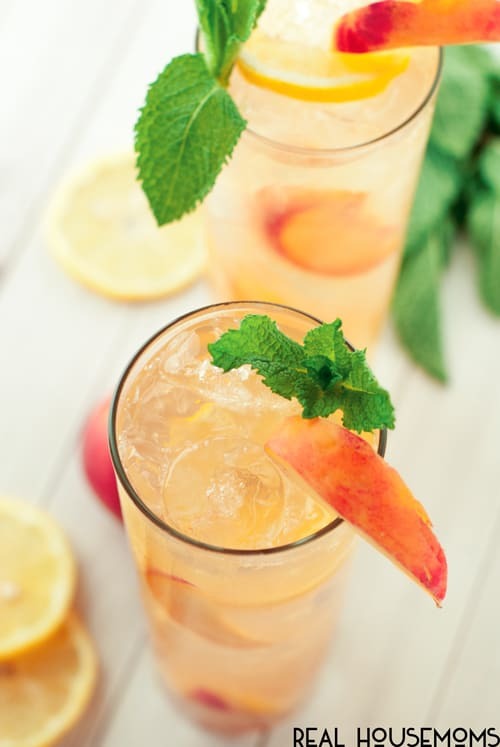 It really is the perfect time of the year to just sit back, relax, and sip on some Southern Spiked Peach Iced Tea. I personally love hanging out on my patio with my colorful furniture and pretty little hanging lights all over the place, just chilling with a good book, some cheese tuiles or mango salsa, and my tall glass of southern spiked peach iced tea. So refreshing, so summery, so perfect. Give it try tonight, it only takes three ingredients! 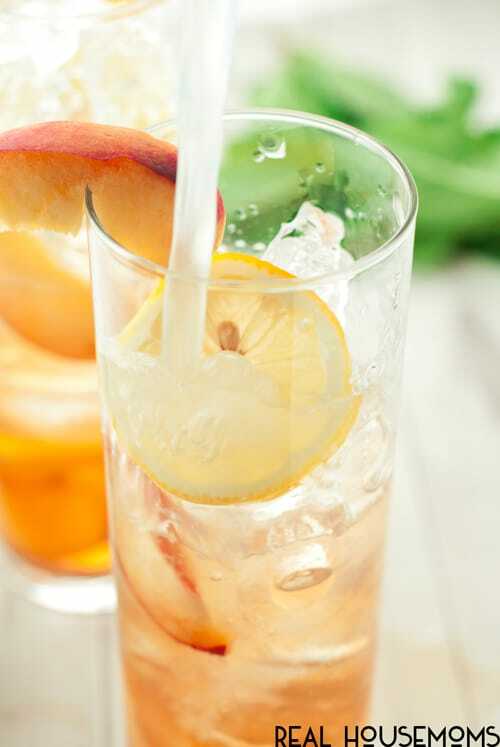 Sit back and relax this summer with the perfect tall glass of Southern Spiked Peach Iced Tea! In a 12 oz. highball glass filled with ice, add the vodka, followed by the peach iced tea, then the lemonade. Garnish with fresh mint and enjoy! 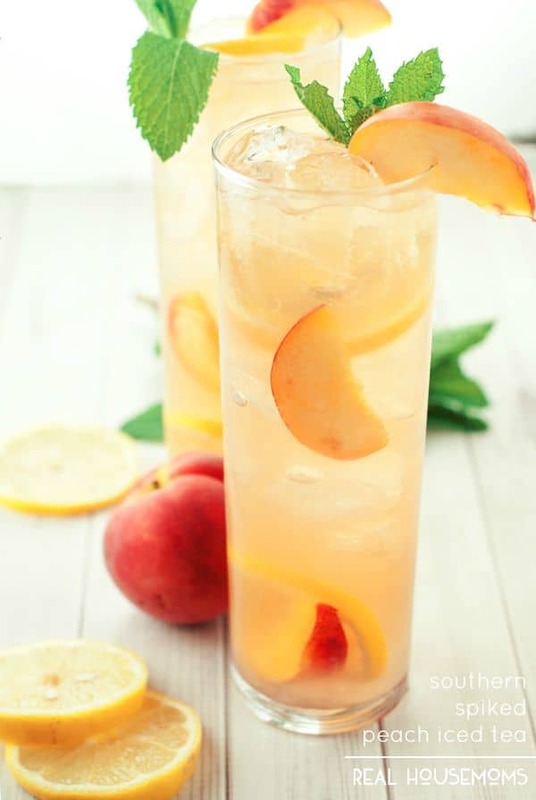 For more flavor, add a few peach and lemon slices to the glass with the ice! I prefer margaritas and sitting in the shade to a pina colada and getting caught in the rain. Four kids-a-screaming, three cats-a-howling, two parents groaning, and a partridge in a pear tree. Life should be delicious, so eat up!